Aaron Sidwell will play Fiyero on the forthcoming UK and Ireland tour of Wicked across all 2018 dates. 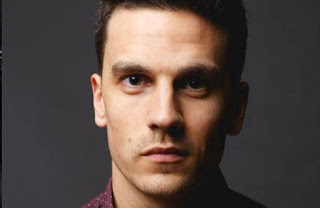 Sidwell, who is currently playing Steven Beale in the BBC's EastEnders, has previously appeared in Grey Gardens (Southwark Playhouse), was the first person to play Johnny in the British version of Green Day's American Idiot musical (Arts Theatre, London) and in the leading role of ‘Michael Dork' in Loserville The Musical (West Yorkshire Playhouse and in the West End). In Carnaby Street: The Musical, he played Jack, a young band manager who narrates the piece followed by Michael Carrington in a West End Concert version of the cult hit movie Grease 2, called Cool Rider: Live. He also appears on the Original Studio Cast recording of the show. He . Further casting for the tour which opens next February at the Bristol Hippodrome is due to be announced in September.